• Why subsidies for renewables are just plain wrong. Oilprice.com: Access to cheap energy is vital to economic growth. What do you see happening with the economy over the coming years as the time of cheap oil comes to an end? Ed Dolan: In my view it is a myth that cheap energy - “affordable energy” as many people like to say is vital to growth. The idea that there is a lockstep relationship between growth of GDP and use of energy is widespread, but the data simply does not bear it out. Instead, what they show is that the world’s best-performing economies have become dramatically more energy efficient over time. The World Bank uses constant-dollar GDP per kg of oil equivalent as an energy efficiency metric. From 1980 to 2010, the high-income countries in the OECD have increased their average energy efficiency by 55 percent. The United States has done a little better than that, increasing its energy efficiency by 81 percent over that period. That’s pretty remarkable, considering that we haven’t really had a policy environment that is supportive of efficiency. Think what we could do if we did. Even after the efficiency gains in efficiency we have made, we still have a long way to go. The US economy is still 15 percent less energy efficient than the average for high-income OECD countries, giving it plenty of room to improve. Switzerland is almost twice as energy-efficient as the US, and the UK is 68 percent more efficient. Some people say that the only reason the United States has been able to grow while using less energy is the deindustrialization of its economy, outsourcing heavy industry to China. However, compare the US with Germany. Germany is an export powerhouse and Europe’s best-performing economy, yet its energy efficiency has increased at almost the same rate over the last 30 years as the United States, an 80 percent gain in efficiency compared to 81 percent. Furthermore, despite being proportionately more industrialized than the US and a major exporter, Germany squeezes out 41 percent more GDP from each kg of oil equivalent. In short, we don’t have to hypothesize about the possibility of someday breaking the lockstep relationship of growth and energy use—we and most of the rest of the advanced world are already doing it. Oilprice.com: What effect can you see America’s Oil & Gas boom having on foreign policy? Ed Dolan: On the whole, I see it as beneficial. Energy dependence has led us to buy a lot of oil from countries that are unstable and/or unfriendly to us. Anything we can do to reduce that dependence gives our foreign policy more room to maneuver. The beneficial effects reach beyond our actual imports and exports. The US gas revolution is having repercussions all the way to Russia, where Gazprom is seeing its market power undermined, and Russia, as a result, is losing some of the geopolitical leverage its pipeline network has given it. Oilprice.com: From Siberia and Poland to China and Qatar – the shale revolution has politicians salivating at the thought of a cheap and abundant source of energy. But can the results seen in the U.S. be easily replicated in other parts of the world? Ed Dolan: I think you’re going to have to ask someone with more engineering background for the technical details, but from what I read, the answer is that it won’t always be easy. It is my understanding that some countries where shale seemed just recently to have great promise have already encountered disappointments in practical exploratory work. Poland I think is an example. Furthermore, the environmentalist opposition to fracking seems even stronger in many European countries than in the United States. Still, I am hoping that the shale revolution will pan out in at least some countries. Think how much difference it would make, say, to Ukraine’s foreign policy if they were able to break their dependence on Russian gas. Do you think this is too convenient and an oversimplification of the problems facing world economies at the moment? What would you blame for the plethora of economic woes being experienced at the moment? Ed Dolan: I don’t buy the argument at all. Yes, when countries are hit by unexpected upward shocks in fuel prices, we do see short-run results like slower growth and layoffs, but those are short-term problems. When the proper structural adjustments are made, countries with high fuel prices manage to achieve strong growth and full employment. Where are fuel prices lowest? If you look up the data and rank countries by retail fuel prices, you find the low-price end of the rankings crowded with countries like Egypt, Cambodia, Iran, Pakistan—not exactly economies we would like to emulate. We’ve got big economic problems, but a lot of them don’t have much to do with energy. What about a healthcare system that delivers mediocre results at the world’s highest cost? Health care isn’t all that much energy driven. What about our steady move down the international rankings in education—are you going to blame that on the high cost of heating classrooms? Hardly. Oilprice.com: Oil prices have been near to the $100 a barrel mark for some time now, and don’t look likely to drop back to previous low levels. What effect could this increased price have on oil importing economies compared to oil exporting economies? Ed Dolan: Clearly, any oil price increase has the short-term effect of transferring wealth from using countries to producing countries. However, the long-run effects are what matter. In the long run, high prices just accelerate the trend for using countries to become more efficient and less dependent. Meanwhile, the producing countries often don’t manage their oil riches well. They fall victim to the “curse of riches.” The curse takes the form partly of a loss of competitiveness in their non-energy sectors (the so-called “Dutch disease”). Partly it takes the form of corruption of their political systems. Russia is a poster child for both aspects of the curse of riches. Oilprice.com: Renewable energy is more expensive than fossil fuels, so how can people be persuaded to choose the less economical option of renewables over the likes of coal and natural gas? Ed Dolan: There is only one right way to promote renewables, and that is to introduce full-cost pricing of all forms of energy. Full-cost pricing is a two-part program. First, it means pricing that covers the full production costs for every form of fuel. No subsidies for anyone—not for oil, not for ethanol, not for wind or solar. The second half of full-cost pricing is to include all of the nonmarket costs, what economists call the “external costs” or “externalities.” The most publicized of these are pollution costs, whether those take the form of local smog, oil spills, climate change, or bird kills. Some people, I am one of them, would like to count in something for the national security costs of dependence on unfriendly and unstable foreign sources of energy supply. Full-cost pricing accomplishes two things. First, it levels the playing field so that each form of energy competes on its economic merits, not whether corn-growing states have early primaries or oil companies have big SuperPacs. Second, by raising prices to consumers to a realistic level, it accelerates the trend toward energy efficiency that is already underway. Subsidies for renewables are just plain wrong, even if you look at them from a hard-core environmentalist point of view. With a subsidy, on the one hand, you say, “produce more green energy” and other the other hand, you turn around and tell the consumer, “waste more green energy.” We don’t want to waste energy from wind or solar any more than we want to waste oil and gas. We shouldn’t forget that even the greenest renewables can have significant environmental impacts. Oilprice.com: Obama has made clear his desires to cut the $4 billion a year tax breaks given to oil companies. What affect do you believe this would this have on the US economy and the US oil industry? Ed Dolan: If it is done as part of a comprehensive move toward full-cost pricing, it could only strengthen the US economy. The oil industry would whine, but if we cut subsidies and tax breaks for competing energy sources at the same time, oil will remain a competitive part of the energy mix for many years to come. 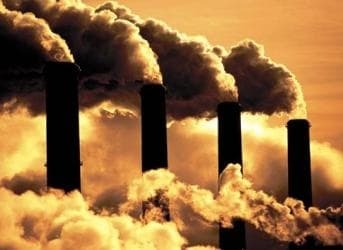 Oilprice.com: The oil industry has enjoyed decades of subsidies and grants, so do you think it is unreasonable to already start cutting the subsidies to renewable energies and expect them to survive on their own? Ed Dolan: As I explained above, the answer is yes, provided it is done as part of a package that reforms our energy policy as a whole in the direction of full-cost pricing. Oilprice.com: Economic growth is generally dependent on the access to energy. As the supply of energy grows, so too does the economy (more or less). Global oil supplies are pretty much stagnant, so do you predict that only nations that successfully convert to a renewable energy mix with an abundant supply of cheap energy will be able to experience continued economic growth at a similar level experienced by the developed countries of recent years? Ed Dolan: Again, I just don’t buy the doctrine that growth is dependent on ever-increasing energy use. For sure, those countries that pursue sound policies, like full-cost pricing to rationalize their energy mix and promote efficiency, are the ones that are going to keep growing. Oilprice.com: As the arctic ice melts at a rapid pace the world’s superpowers are jockeying for position to exploit the region’s vast oil & gas & mineral deposits. Environmental groups are rightly concerned, but is this a resource that we cannot afford to ignore? Ed Dolan: Arctic oil, like any other source of energy, should pay full freight for any environmental impacts it has. If it can bear those costs and still be competitive, I think it should be in the mix. I am worried about Russia, though. It has a dangerous combination of an environment-be-damned attitude and low technical competence that could lead to headline-grabbing disaster worse than the Gulf blowout or Exxon Valdez. Oilprice.com: What effect do you see the shale revolution having on investments in renewable energy? Ed Dolan: If I were trying to make money by generating electricity with wind or solar, I’d be worried about gas. I don’t have all the relevant numbers at my disposal, but my gut feeling is that even if you price in full environmental costs for wind, solar, and gas—including environmental costs associated with fracking—gas is still going to be pretty competitive. Oilprice.com: What are your views on Ben Bernanke’s QE3? Ed Dolan: I’ve written repeatedly about QE over at Economonitor, so I am on record as saying we should try it. The trouble is, QE is not a magic bullet. Properly executed and properly communicated, it can help support the recovery, but it can’t do it alone. Oilprice.com: How do you see the EU solving its debt crisis? Ed Dolan: I’m afraid I’m a euro pessimist. The US debt situation is hard enough to resolve, but Europe’s is worse. At the same time, whatever you say about gridlock in Washington, our political decision making is a model of streamlined efficiency compared with the EU. Oilprice.com: Do you think the EU was doomed to fail from the start with the format that it has? Could more success be seen in a split EU, with the northern/richer nations using one currency, and the southern/poorer nations using a different currency? Ed Dolan: Doomed, I don’t know, but flawed, certainly. Just recently, I was looking back at what economists were writing about the prospects for the euro back in the early 1990s, when it was still just a project. They were telling us, for one thing, that Europe is too diverse to be ideal for a currency union—and that was when there were only 15 EU countries. Second, they said that you can’t run a monetary union without a central government, a fiscal union, and a banking union. You still don’t have any of those. I am not sold on the idea of a northern euro and a southern euro. If the currency union doesn’t work, it doesn’t work. Break it up. Sure, some countries will find it works for their special circumstances to tie their currencies to a large, stable neighbour. I could see the Danes or the Latvians keeping a link to the German currency, for example, and I’m sure the Vatican will continue to use whatever currency Italy uses. But a formal, north-south divide doesn’t make much sense to me. Oilprice.com: In terms of tackling the current economic situation in the US, of the two main presidential candidates, who do you suggest is the best man, and why? Ed Dolan: I do not think we can tackle the current economic situation without a thorough-going fiscal policy reform that includes three key elements: Spending cuts, revenue increases, and a rewrite of the whole tax system to eliminate loopholes and cut marginal rates. Furthermore, the package can’t be heavily front-loaded like George Osborne’s austerity program in the UK, which has sent their economy back into recession. Ours should be back-loaded, with an element of stimulus now and an ironclad commitment to move the budget toward surplus as the economy improves. It’s a lot to ask for. We are not going to get good budget policy out of the GOP unless members of that party make a clean break with mantra that they will not accept a dime of new revenue, not even if it comes from eliminating the most loathsome tax loopholes. Personally, I am never going to vote for a candidate for President, the Senate, the House, or any office who has signed that nonsensical Grover Norquist tax pledge. At the same time, I have been very disappointed at the lukewarm support Obama has given to the kind of program I would like to see. During the first debate, Romney said that when Obama didn’t “grab” Simpson-Bowles—that was his word, and a good one—it was a failure of leadership. That was one point where I agreed with Mitt. Then, you also have to take into account the vote for Congress. I’m afraid there is going to be continued gridlock as long as the GOP controls the House. In the Senate, there are at least a few people in both parties who are willing to meet behind the scenes and talk compromise, but not in the House, not right now, anyway. Maybe what we need in the White House is someone who is a real politician, a negotiator and dealmaker in the mould of a Clinton or an LBJ. Instead, we have the choice between a manager and a law professor. I’m not optimistic that either of them will be able to do what needs to be done. Ed Dolan: "In my view it is a myth that cheap energy - “affordable energy” as many people like to say is vital to growth. The idea that there is a lockstep relationship between growth of GDP and use of energy is widespread, but the data simply does not bear it out. Instead, what they show is that the world’s best-performing economies have become dramatically more energy efficient over time." Gosh, Ed... if affordable energy isn't vital to growth, what's the point of becoming more energy efficient? Ghung: Hmm. You make it sound like a paradox, but I don't think it is. I might turn the question back on you: "If cheap labor isn't vital to growth, what is the sense in educating people and making them more productive?" In other words, growing by using a little of something wisely is better than using lots of it because its cheap. I am also pleased that he refuted MS GET's "high-priced fuel syndrome," who's claims are silly and unsubstantiated..
As per usual with these kinds of experts they are inconsistent and illogical. Germany imports energy and maximises it use. The best of both worlds is obviously cheap energy that is used efficiently, the focus should be improving the return on investment of energy in the US. That is the US should aim for plentiful cheap energy that they can use effectively to leverage their economy. Germany can't do that due to logistic and supply reasons but we can. The argument for cheap labour is also flawed. The use of cheap labour does not mean unskilled labour, it means comparable labour at a reasonable cost. Once again illogical flawed arguments. Where did this people go to school? Who employs them?